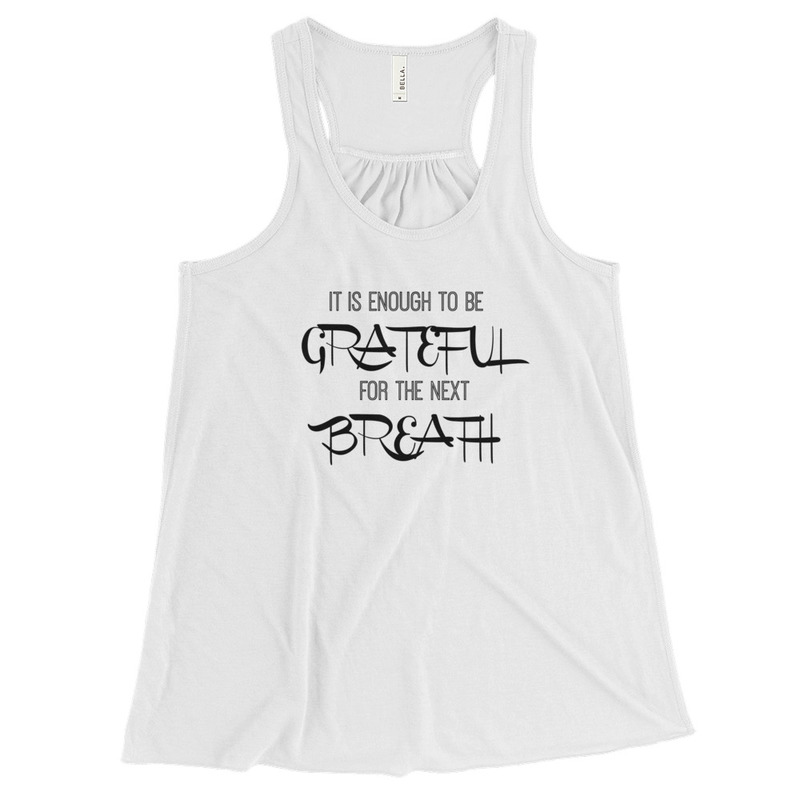 “It is enough to be grateful for the next breath.” A sweet reminder while moving your body. This racerback tank is soft with a loose, flowy fit. 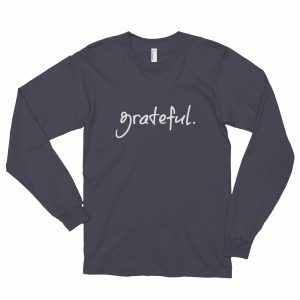 The shirring on the back also adds some feminine detail.